You’ve done your research, perfected your portfolio, and narrowed down your prospects. But is it still enough to land your first remote graphic design job at a leading agency? One of the surest ways to derail any job hunt is to make it all about yourself. Sure, a job search is about how you represent yourself to an employer. But it is also equally about giving employers what they want. This is particularly true for remote roles where your employer’s needs will be different from a regular business’. Before you start your search, place yourself in your target company’s shoes. What do they want from a remote designer? What specific problem are they looking to solve? Is there anything you can do to position yourself better? I’ll answer these questions and more below. For traditional jobs, the reason to hire a new employee is usually the same: there is work to be done and not enough people to do it. But hiring a remote worker is a deliberate choice. Being effective as a business while working remotely isn’t easy. Any company that decides to hire remotely is doing so for specific cultural and financial reasons. And what are these reasons? 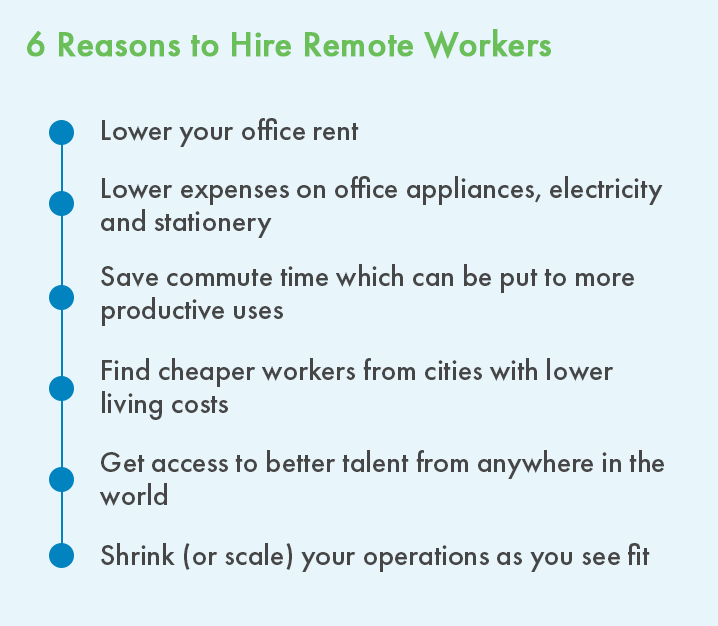 The financial benefits of remote work – lower costs, cheaper workers due to cost of living differences. The flexibility that remote work brings – the ability to hire or work from anywhere, and scale up/down the agency as necessary. The values that remote work signals. A firm hiring remote-only tells everyone – clients and employees alike – that it is young, hip, and ready to change with the times. The question you might be asking is: why should this even matter to you? After all, you’re applying for a remote graphic design job, not starting an agency. The truth is that once you understand the why of remote hiring, you’ll be much better placed to position yourself to be more attractive to employers. Your target agency is hiring remotely because it wants to be flexible? Perhaps you can sell them on your availability and flexibility with work schedules. Or maybe they’re going this route because they value remote work. In that case, you might tell them about your freelance career and the satisfaction of helping clients across the world. Agencies are all about positioning; it is only fitting that your job application follows the same. Dig into the “why” of your target company. Figure out why they’re hiring remotely. Position your application to answer this why. What do employers look for in remote employees? If you were applying for a traditional role, the answer to this question would be easy: skills. But since you’re applying for a remote graphics design job, you have to bring more than skills to the table. Communication: It’s easy to miss things when you can’t hash them out in-person. This is particularly true for creative work that requires a lot of back and forth to get right. Discipline: Working remotely often means working alone. Unless you’re on a strict schedule, it’s easy to push deadlines until it’s too late. Communication and time management. Outside of your core skills, these are the two biggest issues employers face when hiring remotely. If you want to increase your chances of landing a job, make sure to address them directly. Prior experience you’ve had working for yourself. This could be anything – another remote job, freelance experience, a side business, or even volunteer work where you did not have an immediate supervisor. Your communication skills. Show it in your application itself. Be clear, precise, and thorough. When in doubt, err on the side of over-communication than under-communication. Your self-management skills. Talk about your routine, a hobby, or any other experience (both within and outside work) that requires you to be disciplined and stick to a schedule. Even a regular gym habit can show that you can manage yourself. Experience with communication tools. Remote hiring agencies typically use a combination of modern communication tools such as Slack, HipChat, Join.me, etc. Highlight any experience you’ve had on these platforms (for example, you might be a member of a Slack group). Experience with project management tools. Agencies rely heavily on project management tools to get work done. If you’ve worked with something like Workamajig, Trello, etc. in the past, make sure to mention it. And of course, highlight your actual graphics design skills as well. Communication and self-management might be important, but they won’t do much if you don’t know your way around Illustrator. Employers hiring remote workers are often concerned about communication and discipline issues. Address these by focusing on your communication skills, self-starter attitude, and prior experience working for yourself. Understanding your employer can only take you so far. You also need a solid portfolio and the right application. I’ll show you how to perfect this part of the remote graphics design job hunt below. In the first part of this guide, I showed you how to think like your employer. 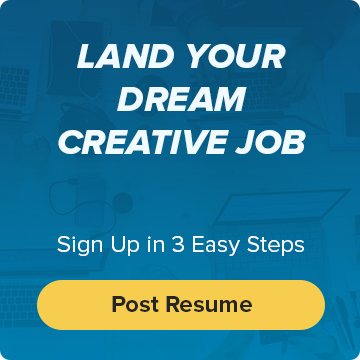 This will help you create a resume and a cover letter that addresses their key concerns. Plus, knowing what your employers worry about will help you perform better during the interview process. But to do that, you need to impress the agency enough to land an interview in the first place. Your most important tool in this battle is your portfolio. I’ll show you how to perfect it below. 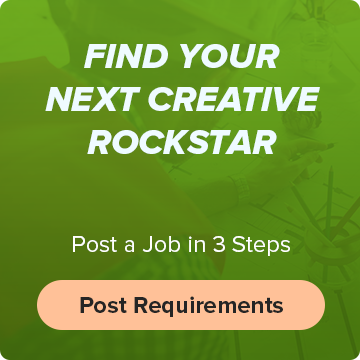 Creative jobs are unique in that your skills and experience are readily visible to anyone through your portfolio. This is both a blessing and a curse. It helps inexperienced designers land gigs on the strength of their work. It also reduces experienced designers to only the visible aspects of their skillset. Regardless, maintaining a strong portfolio should be your top priority, even if you’re not actively looking for jobs. 1. 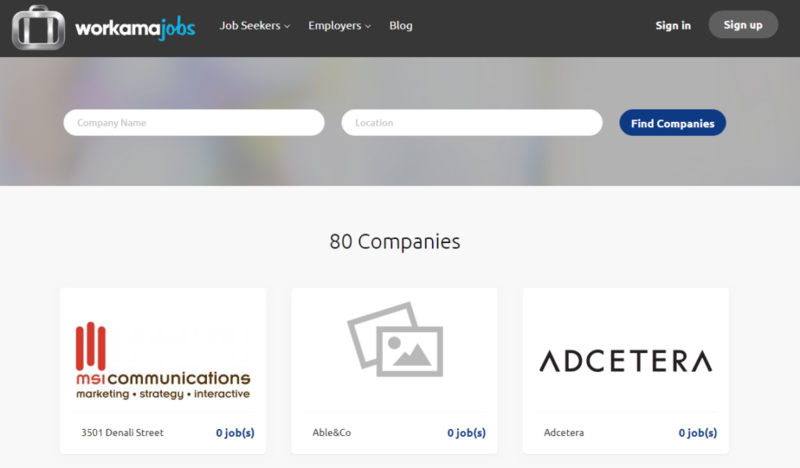 Ditch the downloads: Agencies hiring graphic designers go through hundreds of applications. They have neither the time nor the patience to download your PDF portfolio or zipped images. Skip the downloads and go digital-only. 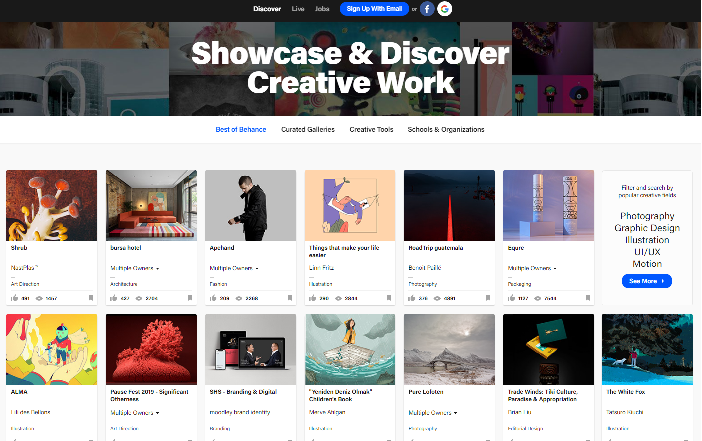 There are more than a handful of digital portfolio sites (Behance and Dribble come to mind), which gives you no reason to stick to downloads. 2. Focus on your best work: If you’ve been working as a designer for a while, or even if prolificity is your habit, you likely have a big portfolio. But that doesn’t mean you should include all of it in your application. Focus on your best work and place it right at the top of your portfolio. 3. Show versatility: Creative agencies work with clients across industries. From banner ads to logos, you’ll have to create them all. Your portfolio should show expertise across mediums, tools, and creative-type. Include a taste of everything you can do. 4. Reorganize for maximum impact: There is a psychological phenomenon – the Serial Position Effect – which states that you’re most likely to remember the first and last items in any sequence. Use this to your advantage by reorganizing your portfolio. Place your most impactful work strategically – at the very beginning and at the end. People will often scroll through the middle and remember the first few and last few items. 5. Prioritize the agency’s clients: If you have target agency in mind, you can win a lot of favor by focusing on their clients. Here’s how: suppose an agency has BMW as one of its top clients. Consequently, a lot of their work revolves around cars. If you prioritize car-related work in your portfolio, you’re essentially telling the agency that you can serve their top clients. It shows an understanding of the agency’s business that can give you a huge edge over your peers. 6. Go behind the scenes: A digital portfolio means that you have unlimited space to show off your work. 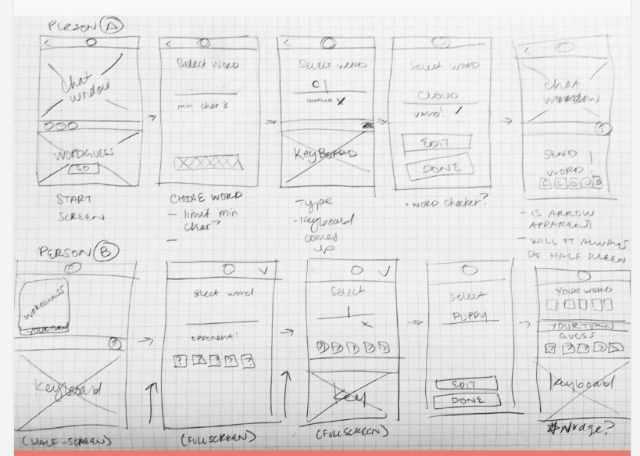 Take advantage of this by not just showing the final design, but all the steps you took to get there – the notebook sketches, the wireframes, the mockups – everything. Your goal is to show agencies that you understand the design process. Agencies often prefer someone who can iterate through a process than someone who simply bangs out a final design in Photoshop. 7. Show growth: The designs you made five years ago are likely not as polished as the designs you made yesterday. But instead of hiding your lesser work, you can include some of it in the portfolio as a reference. Your goal with this tactic is to show growth. Agencies want people who can learn new skills and grow with the company. By juxtaposing your older designs against your current ones, you show people that you’re willing to learn. What do people see when they search for your name online? Do they see a thriving online presence where you talk, tweet, and write about design? Or do they see a sparse wasteland with nothing more than a LinkedIn profile and a small portfolio? At this point, you can assume that any potential hirer is Googling you the moment your application lands in their inbox. This is doubly so for remote companies who need passionate, digitally-savvy people. If you can build an effective online presence, you can easily stand out from the competition. 1. Show your passion: Great designers live and breathe design. Dig through their social media and you’ll find that their conversations revolve mostly around design-related topics. Contour your online presence to align with this expectation, especially with all your public-facing social channels (esp. Twitter). Write about design on LinkedIn, tweet about design, and contribute to Medium publications that focus on design. Show that design isn’t just your day job; it’s a lifelong passion. 2. Work in ‘public’: Fortunately or unfortunately (depending on how you look at it), building a career today means that your work can’t be private. You should be willing to make all your design-related work public – thoughts, ideas, sketches, and everything in-between. This is partly in service of the above point – it shows your passion for design. And partly, it’s to build a large corpus of public-facing work. 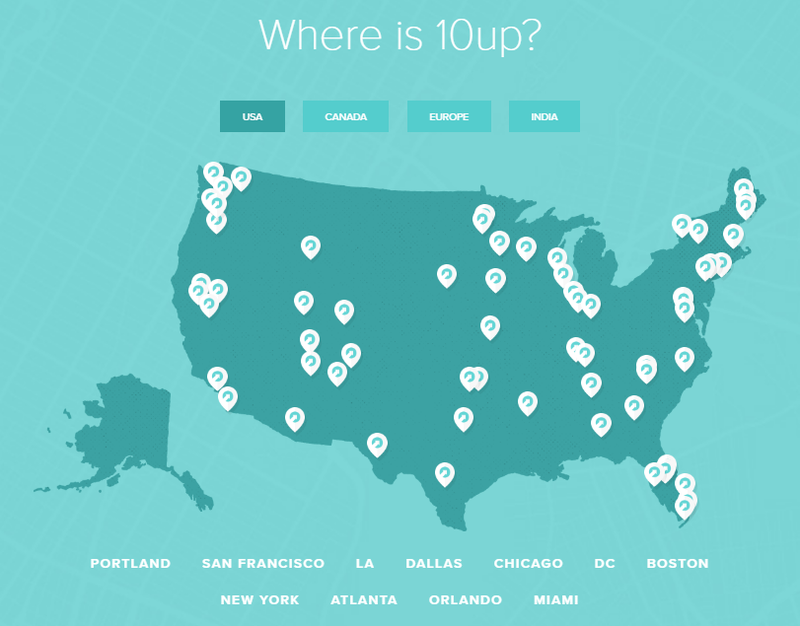 You’re much easier to find online when you have 100 blog posts as opposed to 10. 3. Contribute to publications: While you can and should have your own blog, you’ll have a much wider reach – and influence – if you contribute to popular publications. For one, top publications have an editorial process that acts as a gatekeeper. Anyone who does get a chance to write on, say, SmashingMagazine, is already vetted. Further, popular publications have lots of traffic. Writing for them gets you before a larger audience. Some of these might be agency people who remember you. This can give you an edge over competitors come hiring time. 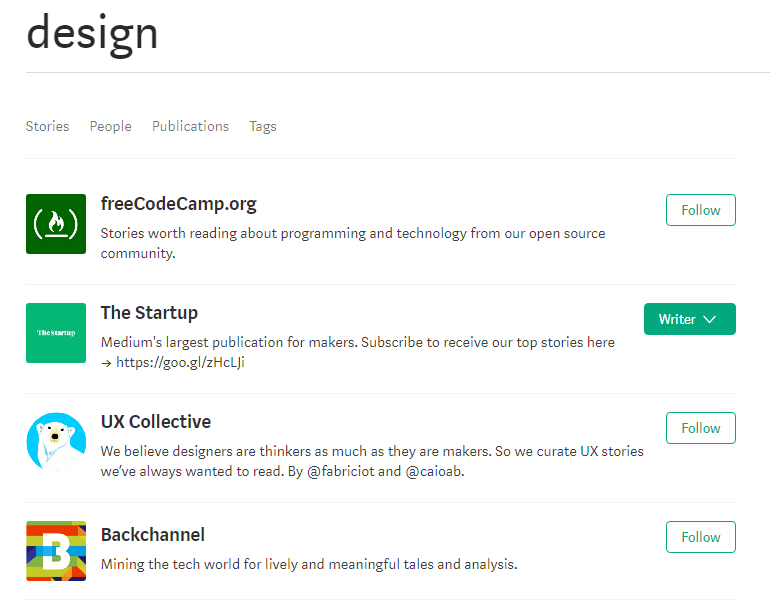 Go through the list of design communities we shared earlier. Pick a few and start building your presence. 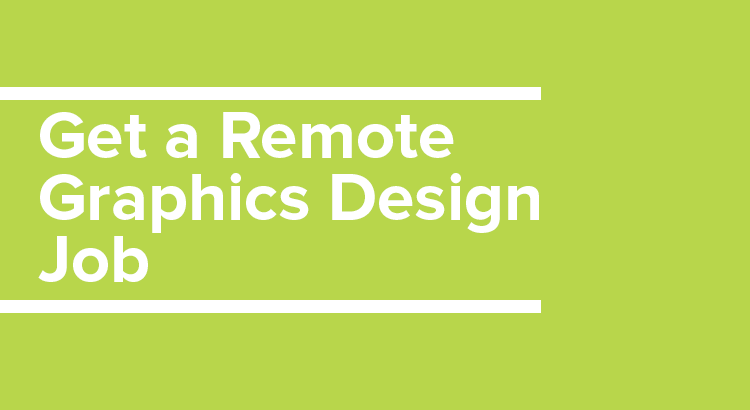 Remote graphic design jobs are difficult to find. For starters, there are very few remote-only agencies in the first place. And the few jobs there are, aren’t always advertised on mainstream platforms. So if you want to land that dream graphic design job, ditch Monster and Indeed. Instead, look at platforms like Workamajobs, FlexJobs, WeWorkRemotely, etc. If you have any specific agencies in mind, make sure to follow them on social media. Some of them often have openings that aren’t widely advertised. And even if they’re not hiring currently, it doesn’t hurt to send in an application. Top agencies usually maintain a pool of potential recruits should a need arise. Use these tips to perfect your portfolio and send in a better application.